What Keeps Us from Writing? This morning I was thinking about blogging and what keeps us from writing. 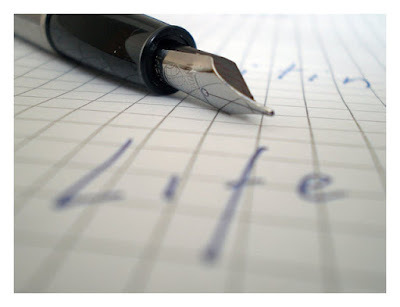 I was thinking about both blogging as a genealogist hobbyist and as a genealogy professional. If you say to yourself that you want to blog, but you don't, what are the underlying reasons for why you're not blogging? I want to be blogging more, especially on this blog but I haven't made it happen quite yet. So I am closely looking at my own motivations too. Many people say they want to blog but they don't have the time. I'm with the folks that say there is no such thing as too busy. It's like in personal relationships when you ask someone for help but they say they are too busy. What they are really saying is "You're not important enough for me to spend my time helping you." I so strongly believe that. (And we should think about our relationships the next time we are the ones who say that to someone.) We always make time for what we want to do most or for the people who mean the most to us. When you say you are too busy to blog, you are really saying "I'm not disciplined enough to make a commitment" or "Blogging is not important enough to me to make the time in schedule." When you don't make a commitment to blogging you are saying "I don't really value blogging." So we need to understand what exactly we want to get from it and why we think we won't get that result. Perhaps as hobbyists we are hoping to connect with distant cousins or as professionals we are trying to build our businesses or show our expertise. Perhaps we simply want to find a vibrant community of folks to interact with. If we believe that we won't really benefit from our efforts then we definitely will not continue the effort to do the work. How can we demonstrate to ourselves that blogging is worthwhile and valuable? Maybe we our afraid of what will happen if we put ourselves out there. Maybe it is self-doubt that what we have to say is not interesting enough. Or fear that we will share too much. I think this really ties back to the time commitment issue but what if we just get so distracted that we have a hard time staying focused? I think that discipline is one of my issues. I WANT to blog - so how come I'm not doing it every day? If it's because I'm busy then how come I'm not reserving a specific hour every day to blog? Does life truly get in the way or do I let it get in the way? Sometimes I don't "feel" like writing and sometimes I feel like I can't NOT write! If I had better discipline I would force myself to write all the time. Sometimes it just doesn't happen. Sometimes I just stare at a blank screen and no ideas come to me. If I could get over this aspect of myself I could probably write more frequently and more consistently. What motivates you to blog? What are the true underlying reasons as to why you're not blogging? Have I left out anything in this discussion? Let me know! 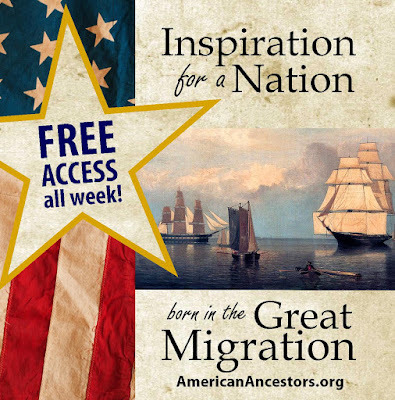 FREE Access to Great Migration Databases for 4th of July Week! Hopefully everyone will be getting at least one day off during the 4th of July holiday weekend. If you get the full week, all the better for doing more genealogy! You can celebrate by researching your very early ancestors thanks to the New England Historic Genealogical Society which will be offering one week of free access to the Great Migration databases. Full information and details are below. June 29, 2015—Boston, Massachusetts—In a salute to the anniversary of our nation’s independence, New England Historic Genealogical Society (NEHGS) is granting FREE access to all online searchable databases related to the Great Migration. A unique foundation of governance and religion was created by the 20,000 men, women, and children who crossed the Atlantic between 1620 and 1640, seeking opportunity and relief in New England, in the period known as the Great Migration. These are the Mayflower names, the Pilgrims, the Puritans, and the families that delight and provide rich insights for genealogists and family historians. Since 1988 NEHGS has undertaken the Great Migration Study Project, directed by Robert Charles Anderson and scheduled for completion in 2016. The results are open to the public to research FREE during the first week of July 2015 on its data-rich website AmericanAncestors.org. The first phase of the Great Migration Study Project attempts to identify and describe all those Europeans who settled in New England prior to the end of 1633. The date was chosen because of the steep increase in migration beginning in 1634 and continuing for the rest of that decade (see Robert Charles Anderson, "A Note on the Pace of the Great Migration," The New England Quarterly 59 :406-07). As a rough estimate, about 15 percent of the immigrants to New England arrived in the fourteen years from 1620 to 1633, with the remaining 85 percent coming over in half as many years, from 1634 to 1640. This database comprises Volumes 1 through 20 of the Great Migration Newsletter, published between 1990 and 2011. Each 32-page issue contains one or two feature articles, a column with editor's comments, and a review of recent literature on the Great Migration. Each issue also contains a section with detailed coverage of one of the towns settled during the Great Migration, or of a specific critical record, or group of records. From 1620 to 1633, only a few hundred people stepped on the shores of New England in any given year. But all of a sudden in 1634 the trend surged upward and as many as 2,500 people immigrated in 1634 and again in 1635. In May 1634, the population of Massachusetts doubled in just one month, and when comparing immigration in 1634 and 1635 to immigration in 1633 and earlier, there was a tenfold jump in annual immigration. These volumes covering surnames beginning with A through Y, complete a series documenting the watershed years of 1634 and 1635. They trace families and individuals immigrating to New England during those two years – a time of rapid migration and settlement. The full introduction to these seven volumes is available for download as a pdf file. The introduction includes a description of the methodology used to create the sketches as well as thorough descriptions of the sources used. 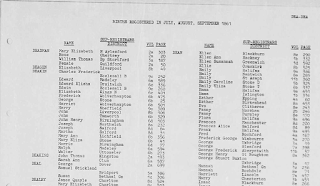 The database provides an index to the sketches of 219 Great Migration individuals, and the 7,192 name, 2,040 place, and 249 ship name references contained within those sketches. The images of the original book pages are available from the search results pages. These Great Migration databases from NEHGS will be open with FREE access to the public beginning Wednesday, July 1, through Wednesday, July 8. Registration at AmericanAncestors.org is required as a FREE Guest Member to gain access to these valuable resources. Guest User accounts allow web visitors to use a limited suite of AmericanAncestors.org databases and access web content such as making purchases from the online store. Unlimited access to all 450+ million records and other benefits is through membership at NEHGS. Family historians may start their search for ancestors who came to the country as part of the Great Migration at this site: AmericanAncestors.org/specials/fourth-of-july. Each week I listen to a podcast (on-demand radio) show called Reply All. It's a show about nothing (like Seinfield!) that leads to some very interesting stories about the internet that would never occur to a normal person. Genealogists, because of their insatiable curiosity, have a terrible habit of chasing down rabbit holes. Reply All chases a lot of rabbit holes too. This week's episode, called "Shipped to Timbuktu," is just one of those rabbit holes - yet one with profound meaning. The show starts off with a practical joke. The target was the Girl Guides (in Canada) known in the United States as the Girl Scouts. The rabbit hole takes us to London to the Girl Guides archives where an obscure reference is found to China. Next we're listening to a Belgian who was in China during World War II. Next we're talking to 82-year-old Mary Previty from New Jersey who will knock your socks off. I can't be more specific because it will ruin the story. I've already told you too much. You'll have to hear the rest of the story from Mary. Obscure history from the past (in this case World War II) may be forgotten but is never unimportant. Oral history is a critical source of memory. We should focus on recording our family, friends, neighbors and community members as part of our everyday activities as genealogists. The triumph of the human spirit is powerful. If you get the chance listen to this episode, then let me know what you think. When the part about the Girl Guides is over, stop there. There is a little segment after that. It's a frivolous thing about Star Trek that contains some good-natured profanities that would not be appropriate in the earshot of children. Press release just out from Ancestry.ca in Canada announcing new DNA testing services. I'm excited about this because there has been a great deal of immigrant exchange between the United States and Canada. We may find distant cousins in the DNA pool to the north. That means more cousins for you and me! Full press release is below. TORONTO, June 9, 2015 /CNW/ - Ancestry, the world's largest family history resource, today launched AncestryDNA in Canada. AncestryDNA allows individuals to learn about their genetic heritage and discover new family connections in Canada and around the world. When coupled with Ancestry's database of more than 16 billion historical records, AncestryDNA will enable family history enthusiasts and novices alike to discover even more about their own past, including the ability to find entire new cousin matches around the world. "Historical records on Ancestry.ca provide an insight into one's recent past, but usually go around 200-300 years, so it's incredibly exciting to be able to offer DNA testing that takes your family history experience back many hundreds and even thousands of years," said Christopher Labrecque, Country Manager for Ancestry Canada. "AncestryDNA enables users to learn more than ever about where they came from and discover new family lines and relatives. It really is the ultimate family history experience." AncestryDNA details the breakdown of one's ethnic origins, predicting the likely locations of a person's ancestors across 26 worldwide populations, providing a glimpse into one's ancestral past that goes back to a time before historical records began to be kept. The service also introduces users to new family members through DNA member matches which identifies unknown relatives pulled from more than 850,000 people who have previously taken the test. Many users can expect to be connected with 3rd and 4th cousins, allowing them to further grow their family trees and discover family members they may not have known existed. In a recent survey, more than three-quarters of Canadians stated they would consider having their DNA tested to discover more about where their ancestors came from. Many said they know very little about their own family history, with 42 per cent indicating that they do not know where their grandparents were born, and 30 per cent stating they do not know where their ancestors lived before coming to Canada. The test uses microarray-based autosomal DNA testing to look at more than 700,000 locations across an individual's entire genome through a simple saliva sample. The AncestryDNA approach provides a much more detailed look at one's family history than other existing Y-chromosome and mitochondrial DNA tests that only look at specific branches of a person's family tree. AncestryDNA kits are now available for purchase for $149 plus shipping at dna.ancestry.ca. Ancestry.ca was launched in January 2006 and is part of Ancestry, the world's largest online family history resource with more than 2 million subscribers across all its websites. More than 16 billion records have been added to the Ancestry.com sites and users have created more than 70 million family trees containing more than 6 billion profiles. 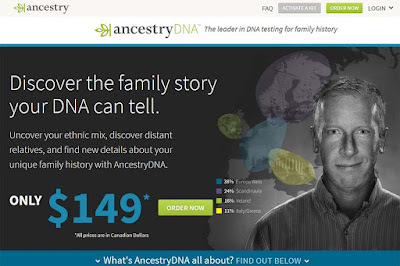 In addition to its flagship site www.ancestry.com, the company operates several global Ancestry international websites along with a suite of online family history brands, including Archives.com, Fold3.com, Newspapers.com, and offers the AncestryDNA product, sold by its subsidiary, Ancestry International DNA, LLC, all of which are designed to empower people to discover, preserve and share their family history. 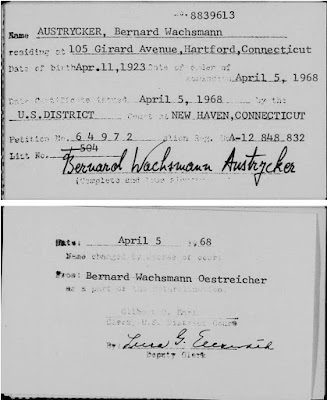 On 27 May 2015 FamilySearch.org added the Connecticut, District Court Naturalization Indexes, 1851-1992 database. Anytime there are new Connecticut records online is a cause for celebration. Connecticut seems to have fewer online records than any other New England state. 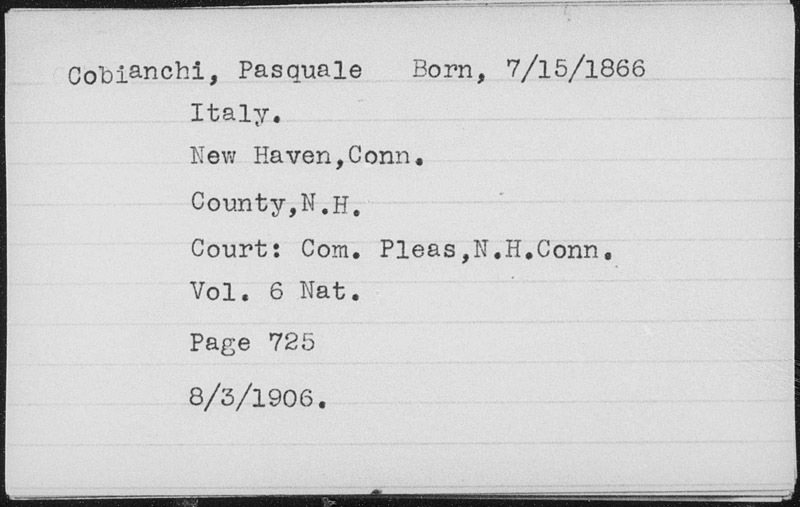 At this time, the database is browse-only but it contains 260,508 images that are worth taking a look at if you have ancestors who naturalized while living in Connecticut during that time period. 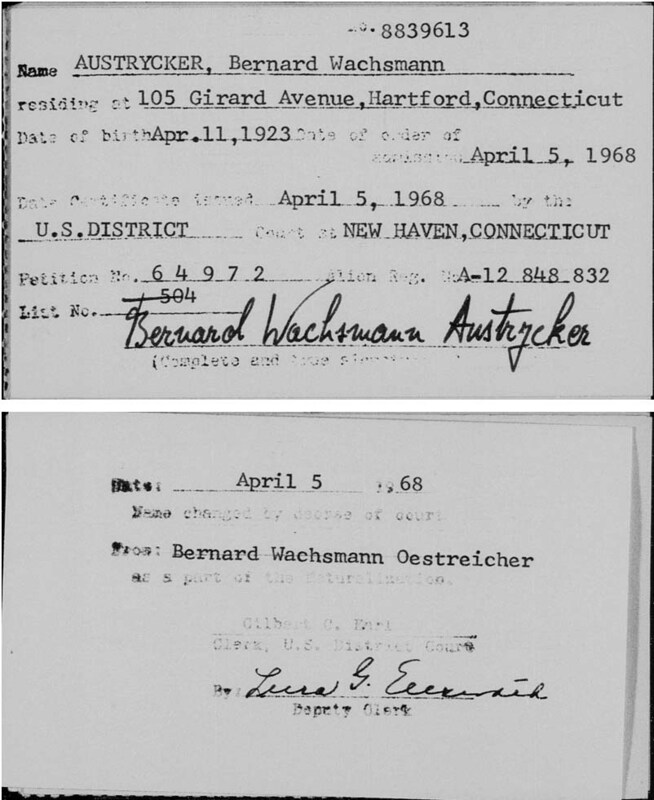 According to the website the "collection consists of card indexes of naturalization petitions in the United States District Courts in Connecticut. 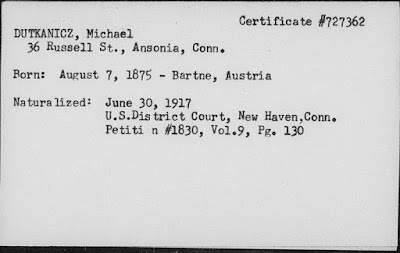 Corresponds to NARA microfilm publication M2081: Indexes to Naturalization Petitions for United States District Courts, Connecticut, 1851-1992." There are 47 rolls in this collection which are divided somewhat randomly by district and sorted alphabetically within that. Some of the links list the same roll number multiple times (Rolls 7, 21, 39, 47), the distinction being the alphabetical separation. For those rolls with duplicate numbers, be aware that in most cases each link is a different record set not a continuation of the same database. 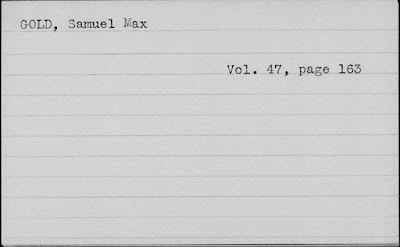 The index cards list the name of the court as well as the volume and page number of the petitioner. Some of the cards include current address, age or date of birth, applicants signature and town of origin, country of origin. Local abbreviations are used such as N.H. for New Haven so be sure to remember which regional roll you are currently in so that you can interpret the abbreviations correctly. US District Court c. 1851-1926, FamilySearch.org Once you find an ancestor be sure to check the following index card as it may include information about a name change. The Hartford County images 1906-1926, Hartford Denied Petitions, the Hartford Repatriation, and the Bridgeport Declarations of Intention indexes contain the bare minimum, listing only the petitioner's first and last name and the volume and page number. The Hartford and Bridgeport transferred petitions include the date of transfer and the city and state where the petition was transferred to. 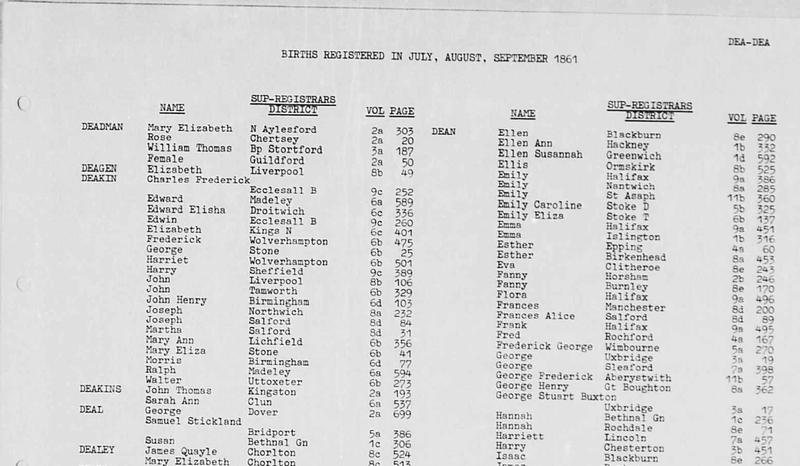 The Bridgeport Women's Repatriation Index simply list the woman's first and last name and the repatriation number. 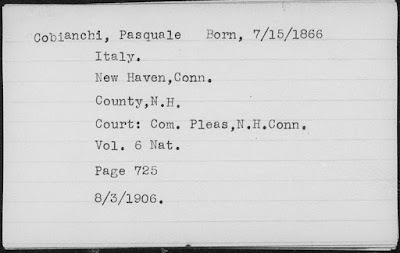 It's a little challenging to work through these indexes but if you have ancestors who immigrated to Connecticut during this time period, it's worth a look. 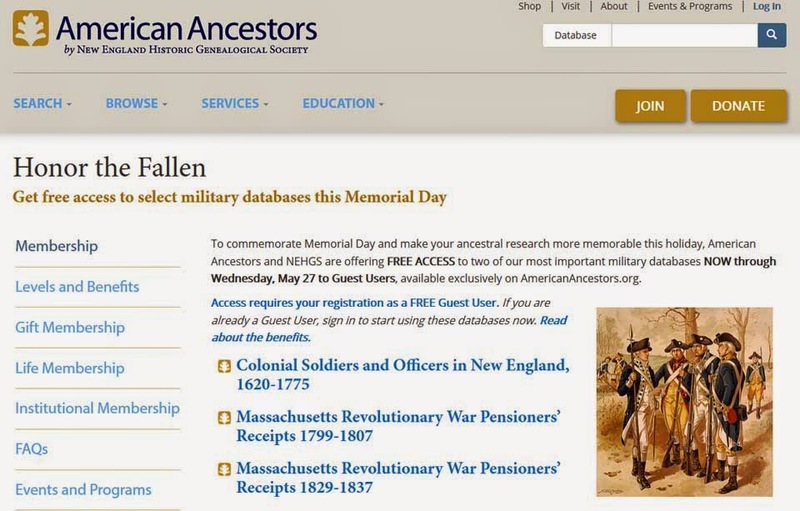 May 20, 2015—Boston, Massachusetts—In the spirit of Memorial Day and to make ancestral research even more productive this holiday weekend, AmericanAncestors.org and New England Historic Genealogical Society (NEHGS) have made several online military databases accessible FREE to all who wish to search for patriots in early American colonial wars. Colonial Soldiers and Officers in New England, 1620-1775 is accessible FREE this week through next Wednesday, May 27. Prior to the American Revolution, many men served in the militia and fought against Native Americans, the French, and other opponents. Many of these battles were extensions of European wars. This database contains more than 35,000 records of service for individuals in Massachusetts and other New England states who served from the seventeenth century to the Battle of Lexington and Concord. These records, originally published by the New England Historic Genealogical Society with support from the Society of Colonial Wars in the Commonwealth of Massachusetts, were compiled from many different sources to create as comprehensive a list as possible. 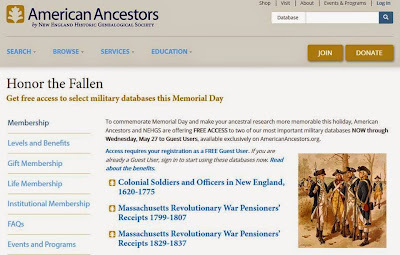 Massachusetts Revolutionary War Pensioners’ Receipts 1799-1807 and Massachusetts Revolutionary War Pensioners’ Receipts 1829-1837 are also accessible through Wednesday, May 27. Many of the soldiers who served during the Revolutionary War were given pensions from the federal government for their service. These manuscript collections at NEHGS contain a number of original receipts with the soldiers’ signatures, acknowledging the receipt of their pension funds. These two searchable databases contain images of these receipts, including the original signatures or marks of the pensioners. Registration at AmericanAncestors.org is required as a FREE Guest Member to gain access to these valuable resources. 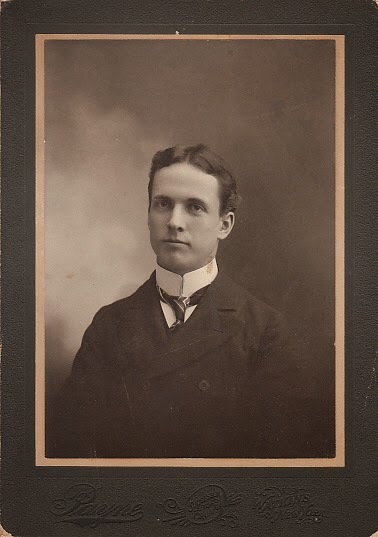 Guest User accounts allow web visitors to use a limited suite of AmericanAncestors.org databases and access web content such as making purchases from the online store. Unlimited access to all 450+ million records and other benefits is through membership at NEHGS. Family historians may start their search for their ancestors who bravely served in our country’s colonial times at this site: AmericanAncestors.org/memorialday. I am currently reading a nonfiction book called Soldier Engraver Forger: Richard Brunton's Life on the Fringe in America's New Republic by Deborah M. Child. The timing is coincidentally perfect. I just finished an historical fiction book called The Schoolmaster's Daughter by John Smolens. Both books focus on the American Revolution and start with the siege of Boston. They also both feature a British soldier who has deserted the British Army. I love to read fiction because it's fun and enjoyable but it's even better to follow it up with a nonfiction book that gives me a sense of what it was really like during the same time period. Soldier Engraver Forger takes a look at the life of Richard Brunton, a British Solider who did not leave an abundant trail of records for future researchers to find. Author Deborah Child recreates his story through examples of materials culture (such as engravings, bookplates, portraits, etc) and by placing Brunton in historical context by taking a deep look at the social history of the times. There is much to love about this book (which I will report in greater detail in a review when I'm done) but the thing that is endlessly pleasing me at the moment is the footnotes. 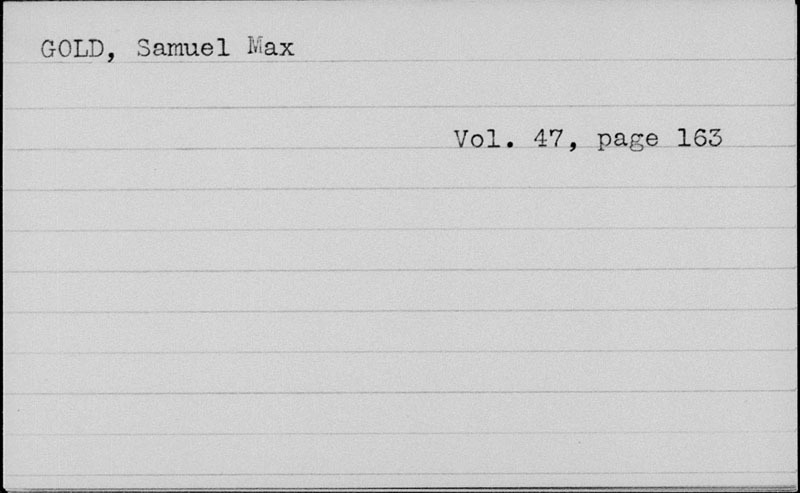 As genealogists, we are all a bit enamored with footnotes. We may hate to write them but we sure to do love to find them. "Again, in 1771, Milne advertised Gordon as a runaway indentured servant, this time traveling with a wife, Mary, whom he described as "much addicted to drink and a great liar." (pages 31-32, footnote 69) The quote itself is just wonderful and colorful and transports us back into the lives of Revolutionary Era Americans. The footnote reveals that this comes from an article in the Pennsylvania Gazette. A good reminder that we should always be doing newspaper research even in the colonial time period. The second quote immediately follows that last sentence - "In July 1773, Gordon, his wife, and their son James arrived in Boston from Philadelphia. (page 32, footnote 70) That may not look like much of an interesting sentence but I couldn't help wondering "how does the author know Gordon arrived then in Boston?" Thanks to the footnote I was able to find out. It turns out that this very slight bit of information comes from a book (via one of the co-authors) called Robert Love's Warnings: Searching for Strangers in Colonial Boston by Cornelia H. Dayton and Sharon V. Salinger (2014, UPenn Press). I have long had an interest in the Warning Out Records of early New England. I have also never heard of this book before. I'm a little disappointed that this book was published and didn't hit my radar but I'm absolutely delighted to have found out about it in the footnotes of Soldier Engraver Forger. That is the wonderful, magical aspect of footnotes. They will lead you to further essential resources that will help with your research. Do you ever ask yourself, when reading a book, "how does the author know that?" I do it all the time and love it when a footnote will answer the question. The book also has a number of references to articles by Don Hagist in the online publication the Journal of the American Revolution as well as articles from JL Bell's blog Boston 1775. That's a good reminder that there are some tremendous historical resources available no further than our keyboard and the internet. If you'd like to read some more of my thoughts footnotes, particularly as they relate to genealogical research, you can see a previous blog post The #1 Things that Impacted My Research in 2010. Just like nearly all Americans, I have immigrant ancestors. Some arrived as early as the 1630s and some as late as 1893. I can find ancestors arriving from Europe in every century from the 1600s to the 1800s. Because most of my ancestors have been in the United States for quite awhile I've had the luxury of focusing on my American ancestry. I could go so far as to say that it has allowed me to ignore my German, English, Scottish, Dutch and Irish ancestors. Well, no more. I am headed for a new frontier! I have just gotten a subscription to FindMyPast.com, the site which predominantly focuses on British research (or at least that's my impression). This is definitely new territory for me. I have decided to focus on my Dealey ancestors who left England for Galveston, Texas in 1870. I'm focusing on them because they are more recent immigrants and because our family knows really as much as we need to know about them in the United States considering they only go back four generations. About ten years ago I did dabble in British research. I learned just enough to be dangerous without really understanding what I was doing and without going too in-depth. When logging in to FindMyPast.com for the first time I wasn't really sure where to start. But then I noticed that, similar to Ancestry.com, they provide an option of having an online tree. While I have mixed feelings about online trees, they are a perfect place to start when you don't know where you are going. And of course, that's the danger of it. I started my online tree with my Dealey Family. I admit I am still figuring out how to work the FindMyPast.com online tree since it's a bit different that the Ancestry.com tree. But it is very helpful in providing me with links to document hints. The problem I'm finding, however, is that FindMyPast.com (just like Ancestry.com) can point me to the records, but that doesn't mean I'm necessarily sure what to do with them. Let me clarify right here that this is not the problem of FindMyPast.com. It's not their job to make me an expert in British records. I need to take the time to figure that out myself. But what I can see as a fundamental problem in online research is that having access to online records is not enough. You must know what to do with the records once you have found them. I think the disconnect for many new researchers is not knowing where to go to find the background information to understand the records, time period and location they are researching. For instance, My great grandfather, James Quayle Dealey, is found in the England & Wales Births 1837-2006 record set on FindMyPast.com. 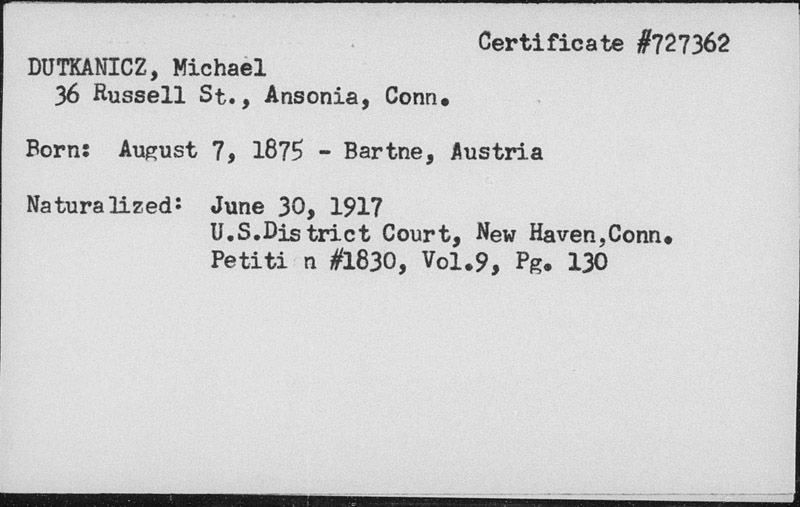 This is a register (index), not the original birth records. To their credit, FindMyPast provides a section called About England &; Wales births 1837-2006. This is helpful in that it talks about the index but it doesn't really provide information about where to go next, or where to find the records I'm looking for. Ironically, this whole process is quite fun for me because it's allowing me to experience what a brand new genealogist in 2015 experiences when they start their journey. While I know from past experience that there are resources for learning about British research, I wonder what the new researcher will think when the ask themselves "Now where do I find that birth record?" Part of this new journey and experiment is going to be re-creating the experience of new genealogists so I can understand what challenges and obstacles they face. So instead of going straight to resources that I know exist or to experts that I know can help me, I going to put myself in the position of someone who has no connection with the genealogical community or background in research. The next logical step for me as I try to determine where to find the original birth records is visiting the FindMyPast.com "Help" section of the website. While taking my morning walk today I listened to the most recent episode of the Genealogy Guys podcast. 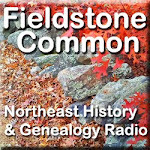 Half of the episode featured an interview with Cyndi of Cyndi's List that was recorded during the recent Ohio Genealogical Society 2015 conference. What really caught my attention during this interview was a discussion about deep linking. Cyndi explained that Google doesn't do deep linking which is the concept of linking to parts of websites that are buried deep within a site. In the example she gave, Cyndi explained that she will dive into a university special collections site and then add links to specific databases to Cyndi's List. Cyndi also suggested searching using the categories feature on Cyndi's List rather than the search feature because it will allow you to discover related topics that you weren't specifically searching for. Intrigued by this new discovery of deep linking, I wanted to put Cyndi's List to the test. 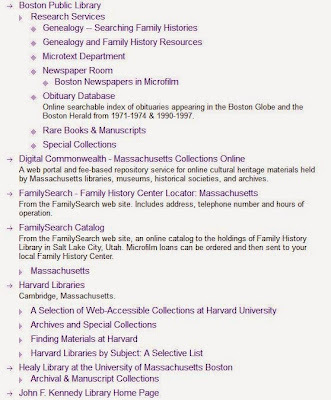 The subject I know best is Massachusetts genealogy so I want to check that out on Cyndi's List in hopes of finding links to resources of which I wasn't aware. There must be many deep linked resources that I haven't stumbled across. From the categories link, I drilled down to United States which had visible subcategories (without clicking) for each state. I selected the one for Massachusetts. This presented me with 31 subcategories including things like cemeteries & funeral homes, directories, newspapers, occupations, prisons, prisoners & outlaws, and societies & Groups. 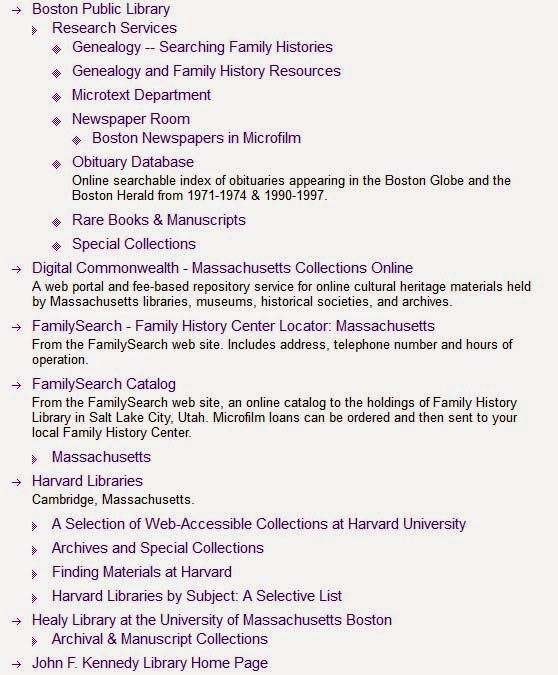 For instance, under Boston Public Library, not only do we see the main site but a sublink for Research Services and further sublinks for Genealogy, the Microtext Department and the Newspaper Room. Occasionally you will find a link that is broken but that is understandable considering the monumental task it must be to maintain over 400,000 links when webmasters are constantly making changes to their sites. One of the resources presented on Cyndi's List is the National Heritage Museum in Lexington, Massachusetts. According to the Van Gorden-William Library sublink, it holds one of the most comprehensive collections on American Masonry in the world. I'm going to have to put that museum on my to-do list this summer! Try searching for yourself on Cyndi's list and see if you can find some deep links that you weren't familiar with. The libraries and archives subsections will probably provide the most worthwhile searches. And while you're at it be sure to listen to the interview with Kris Rzepczynski in the first half of the show where they talk about resources at Seeking Michigan and the Michigan State Archives. I hope you make lots of brand new discoveries! Are We Wrong About Preserving Old Photos? I think we can all agree that preserving old photos is a good thing. But it takes a lot of effort to preserve individual photos. What's the best way to preserve them? How will we know they will still be accessible in the future? When I first got interested in the idea of preserving old family photos my attention and efforts were focused on scanning individual photos. I scanned each photo as both a tif and a jpg file format. The tif is used to archive the photo at a high resolution and the jpg makes the image a reasonable size that can be shared via email or on the web. I organized my photos with file names that attempted to identify the people, place and/or date of the photos. I also saved the photos to directories with relevant names. I didn't, however, create descriptions for the photos or add meta tag information to the photos. It was quite a bit of work getting this far! Digitizing the photos meant that the old family photos were much easier to share. I could share individual photos via email or on Facebook. I could also put a whole directory of photos on a CD or thumb drive to quickly share everything with family. Soon I realized that simply scanning photos would not be enough to preserve them. And so I entered into the printing phase. As many of you already know, to this day the Library of Congress only accepts printed copies of books. With good reason! A printed book can last hundreds of years. A digital one will become obsolete quickly as file formats change and improve. Thus the idea of printing photos came along in order to preserve them longer. I admit I never really caught on to the idea of printing all my old family photos. It's just not practical. My extended family has digitally shared hundreds of old family photos. First there's the cost of printing that many photos, though admittedly these days it's fairly inexpensive. Another, perhaps more important consideration, is that your local pharmacy is now digitally printing them on a laser scanner rather than the photos being processed like in the old days. Laser printed photos don't last as long. And then there is the issue of organizing and storing all the printed copies. Some of you are very good about spending the time to organize photos into boxes or albums. I am not. And, of course, let's add on the cost of buying archival quality boxes and albums. Yes, it is our family heritage we're preserving but I don't have lots of extra money lying around to spend on stuff like this. Lastly, I just can't display 800+ photos in my house. I have room for maybe twenty ancestral photos to be displayed on walls and shelves. Any more than that is not an option. So while I agree that printing is important, it just didn't happen for me. The thing that has been on my mind lately has been cataloging. I'm starting to think that this is the best way to handle old family photos. The idea is to create a catalog - a list - that contains the following information (if known): date of photos, people in photo, location, file name, file formats (jpg and/or tif), description, name of owner of the original copy of the photo, date scanned. I think a file numbering system for the photos would also be appropriate. Photo type and size of photo would be nice too but that might be too much to ask if lots of different people are scanning their own collections. I like the idea of a catalog, while not as pretty as albums, because it lets everyone know what photos exist, when they were last scanned and who owns them. Then if an original photo disappears a search can be made from a more logical starting point. The durability of a book means it will last for a long time and we will know that all these photos existed at the time of printing. A catalog also lets people determine whether they have a digital copy or not, based on the catalog. If they don't, they can then seek it out. People can pick and choose which photos they would like to print and display in their homes or use for other purposes. What I don't know is whether any photo organization programs, such as Adobe Photoshop Elements, has the ability to print a catalog such as this. I was thinking of creating a catalog in Excel and then formatting the photos myself. Then I would combine the two into a pdf document that can be printed. If the capability were already available in existing photo that might save time. "Preserving and organizing family photographs doesn’t have to be time consuming or expensive. It’s all about planning and work flow. Scan, label, and file are the key steps to caring for pictures. Free organizing software like Picasa, money-saving apps like Snip Snap and making use of programs you already have (like Excel) can manage money and minutes. I create an excel spreadsheet when sorting a collection, scan at 600 dpi, upload images to Picasa on my computer and then file everything in acid and lignin free boxes. Take small steps to avoid being overwhelmed and don’t be afraid to ask relatives to help." More tips from Maureen can be found in her books Photo Organizing Practices and Preserving Family Photographs. How do you preserve your family photos? Do you like the idea of creating a catalog or would you rather use archival boxes and albums? And if you know of an easier way that I can create my catalog please let me know! I have been searching for Charlotte for years. I have this irrational emotional attachment to her that some of us genealogists get about our ancestors. I am very protective of her. She died at age 33, a young wife and mother of two daughters. I guess what always bothered me was that she was alone. Her husband and daughters moved away after her death and she was alone in a cemetery without any family nearby. Charlotte Hill Learned is my great, great grandmother. And one of my brick walls. She died in 1862 and appeared on only one census record with her husband and two very young daughters. When I first started researching Charlotte some 10 plus years ago all I had was her name, Charlotte Hill, the information about her husband and children and nothing else. That was information that my mother had collected. Other than the 1860 Federal census I had no idea how my mother came up with the rest. There was a note that Charlotte was from Delhi. I'm thinking "India?" Turns out that was a typo. It should have said Delphi. So now I'm thinking "Greece?" Turns out that is just one of the many colorful names that New York gives to its towns along with Cicero, Cuba and Painted Post. I discovered that Delphi Falls is a town in Onondaga County, New York. Associated with Delphi, and just to complete my international tour, is a place called Pompey. At this point I know that in the 1860s one was a village inside the other but I'm still not really sure which was which. Today they are both very small rural places. I had thought that I could stroll in, use my sharp genealogical skills, and easily connect Charlotte to her family. The genealogy Gods laughed in my face. I found a Hill family in the 1850 US Federal census for Pompey, New York. There was a Charlotte of the right age in the family. The intrigue of unusual names continued with the discovery of a father named Orange, a brother named Erasmus and a later discovery of grandfather named Ensign. What a cast of characters! There must be a story there. The only thing was that I couldn't prove that this was my Charlotte. I put the research away for many years, frustrated that I couldn't make any headway. Then one year I was contacted by a 2nd cousin, Barb, who was also descended not only from Charlotte but from the same daughter, Clara Learned. 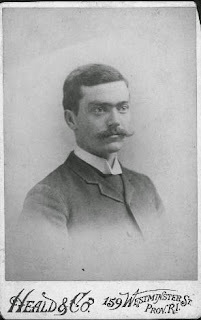 Barb mentioned that she had the diary of William Chandler Learned, Charlotte's husband. I was thrilled to make the connection and to learn of the diary! But Barb had never read the diary so she couldn't tell me much about it. And with it being all the way on the west coast and me here in Boston, there was no chance I could get a peek at it. Spring forward to August 2014 when Barb notifies me that she and her husband are coming to Massachusetts. She also revealed that she was going to loan me the diary so that I could read it and share its contents with the family. I was over the moon! We had a very small reunion of Learned descendants which was wonderful in itself. Then I got a peek at the diary. The diary, unfortunately, started in 1866, four years after Charlotte's death. Luckily, it was not a typical diary of the time with just two line entries describing the weather and what was planted. William Chandler Learned was a teacher and then a Baptist minister. His diary was long form text and he described his feelings and why he made certain decisions in life. A truly extraordinary document that covers the years from 1866 to 1908. The diary does provide enough information to tie Charlotte Hill to her family in Delphi, New York but I'll save that story for another day. What still gnawed at me was the location of Charlotte's burial. Did she die and was buried in Alden, Erie County, New York, the location of the 1860 census entry? It seemed like the most logical place to me. Unfortunately, without being able to go in person I could not confirm this and there were many cemeteries in the small town of Alden. The answer came in the form of diary entry. William, now in his 70s and living in Chicago, made a "final tour" of the old places in New York where he used to live. One of the places he visited was Charlotte's grave in Alden. Milne to me was buried by her side. This confirmed for me that Charlotte was buried in the town of Alden, New York! But where? I had the added benefit of learning that she was buried next to her good friend, Anne Milne. There was no entry for Charlotte or Anne on FindaGrave.com. Nor were there mentions of their graves in the limited transcriptions for gravestones of cemeteries in Alden found on other genealogy websites. I turned to local sources and found the Alden Historical Society website. I sent an email to the society asking if they had information about Charlotte's gravesite location. Societies often have unpublished transcriptions of their local cemeteries and this is what I was hoping for. I did not expect a reply quickly, knowing that societies have limited hours and are often short staffed. Imagine my surprise when Alden Town Historian, Karen Muchow replied within a half hour. Regrettably, she had nothing on Charlotte in her records. I decided to try again. I researched Anne Milne, learning that she was the daughter of a Baptist clergyman. She was born in 1841, married a man named Orin Munger in 1862 and then died in 1864. I asked Karen to search for Anne since their graves were side by side. It took a bit of work on Karen's part but she found them! Charlotte was buried under her maiden name of Hill rather than Learned. Karen was able to identify for me that both Charlotte and Anne are buried in Alden Evergreen Cemetery. I finally felt at peace. Those of you who are genealogists will understand how I feel. The rest of you will just think I'm crazy. Knowing Charlotte's burial place has connected her to our family. Some day I hope to be able to make the trip to Alden to visit her grave so that she will know that she has not been forgotten.